When developing digital content for your brand, why not learn from the best? Annual digital marketing awards are good for discovering creative content and effective campaigns on the Internet. And you can easily find winning content in many areas of marketing, including social media campaigns, do-it-yourself videos, and short-form and long-form branded content. Here is a list of digital awards to follow. Results galleries are filled with winning and nominated content, as well as brand and agency details. 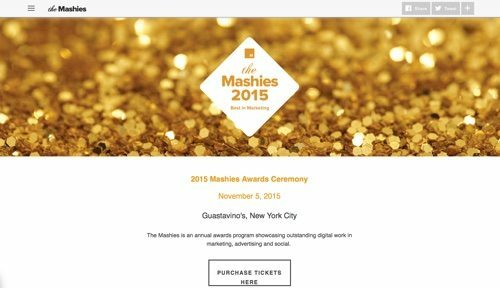 The Mashies is an annual awards program from Mashable, showcasing outstanding digital work in marketing, advertising, and social. Winners are selected by Mashable’s editorial team and a panel of industry leaders. Categories include best use of branded video for short-form (15 seconds) and long-form (30 seconds), live-streaming, branded video within Facebook, as well as best use of YouTube, Snapchat, Twitter, Instagram. Vine, Tumblr, and Pinterest. 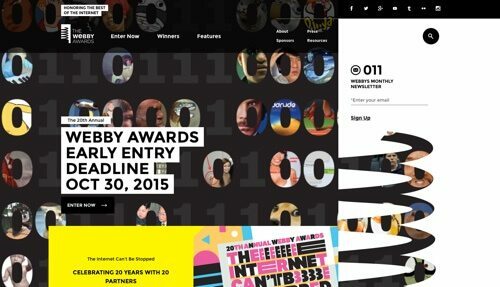 The Webby Awards is an award that honors excellence on the Internet. Established in 1996, The Webbys is presented by the International Academy of Digital Arts and Sciences, a 1,000-plus member judging body. The Academy is comprised of executive members, web experts, business figures, creative celebrities, and associate members who are former Webby winners, nominees, and other Internet professionals. 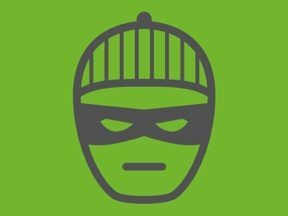 Categories include a variety of relevant categories for merchants, including brand content, DIY videos, and over 30 categories in Advertising & Media. The Facebook Awards celebrate the best creative work on Facebook, as chosen by top creative professionals in the industry. The jury looks for inspired work that changes the way the industry approaches content publishing and sets the bar at new heights. 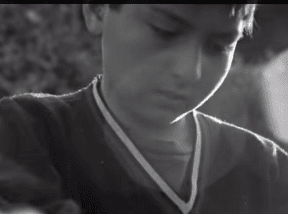 Thousands of campaigns entered the 2015 Facebook Awards, with representation from over 80 countries. Winners from 2015 include P&G’s #LikeAGirl campaign and The ALS Association’s Ice Bucket Challenge. 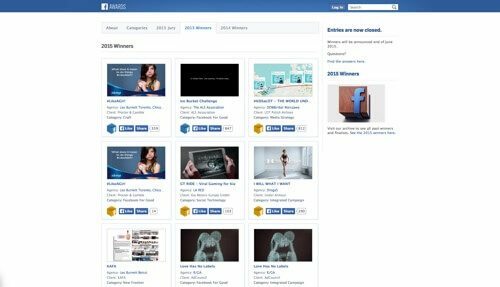 The Internet Advertising Competition Awards highlights the best online advertising in 96 industries and 9 online formats including, online ad, video, mobile, newsletter, email, and social media. The Web Marketing Association created the new award program in 1999. 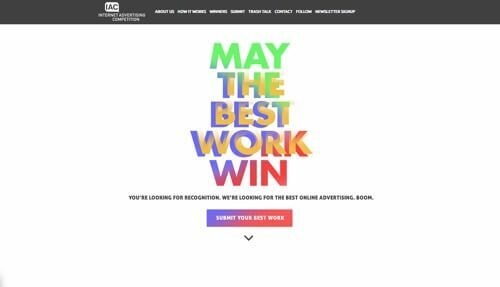 The WMA is made up of Internet marketing, advertising, and public-relations and design professionals who share an interest for improving the quality of advertising, marketing, and promotion used to attract visitors to corporate websites. The WMA also produces the WebAward Competition for websites and Mobile WebAward Competition for mobile websites and apps. 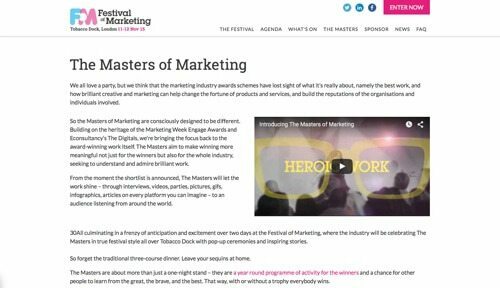 The Masters of Marketing Awards takes place at the Festival of Marketing. Built on the heritage of the Marketing Week Engage Awards and Econsultancy’s The Digitals, The Masters of Marketing champions creative, innovative, and exceptional work, putting it center stage. The Masters is a year-round program of activity for the winners and a chance for other people to learn from the great, the brave, and the best. 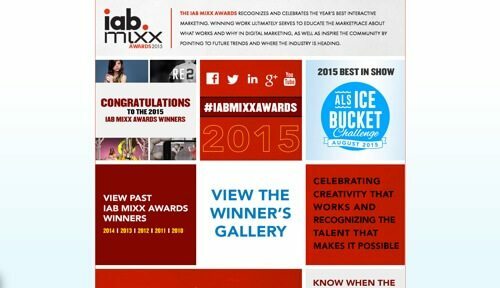 Founded in 2004, the IAB MIXX Awards recognizes and celebrates the year’s best interactive marketing — the Winners Gallery. This year’s best in show winner was The ALS Association for The ALS Ice Bucket Challenge. There are a wide variety on interactive campaign categories, such as branded content, mobile, social, B2B, display ad, and direct response and lead generation. The Interactive Advertising Bureau — IAB — is comprised of more than 650 leading media and technology companies that are responsible for selling, delivering, and optimizing digital advertising or marketing campaigns. 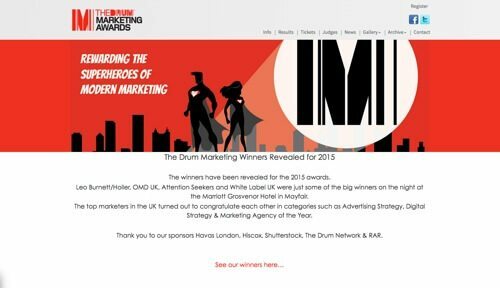 The Drum Marketing Awards is from The Drum, U.K.’s largest marketing website, providing news, insights, and leads through online, magazine, events, and social media. This year’s judges include marketing executives from top U.K. and global brands, including Samsung, Adobe, Hootsuite, and Visa. Categories include digital strategy of the year, branded content strategy, in-house marketing team, mobile strategy, design strategy, social media, and rising star. 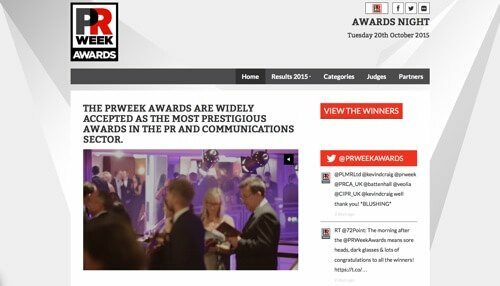 The results section posts links and elements from winning and nominated entries. The best in show award for 2015 went to P&G Always for its #LikeAGirl campaign.